Omar loves rooting for the underdog and telling it like it is. He is the business brains behind the operation with over 14 years of business building experience. An educator and university manager for 13 years, Omar attended Wharton business school and dropped out in frustration to build The $100 MBA. They're on a mission to revolutionise business education forever. 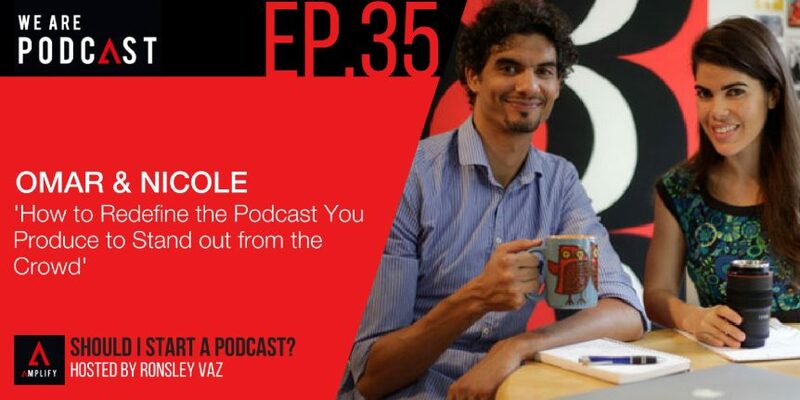 Omar is the curriculum developer, content creator and head instructor at The $100 MBA podcast. He also loves 80's music & high-fives. Nicole is the sensible one with all the taste. She knows when it's right and when it isn't. Nicole was an educator for 13 years and is an avid traveler. She's also a New York Film Academy graduate who loves shooting videos that make a difference. She's responsible for all the brilliant looking videos in The $100 MBA, producing The $100 MBA Show and is a content manager on The $100 MBA Blog. If it looks, sounds or smells good it's because of her. She makes everyone smile with her Aussie accent. Both Omar and Nicole have a decade of education experience. As university educators, they learned how to not only teach but to create and deliver lessons that actually foster learning and ensure comprehension and retention. During Omar's time in education, he served as an administrator and saw how NOT to form an institution of learning. Having a student-centred approach is at the forefront of The $100 MBA. The $100 MBA podcast show and how they make it happen seven times a week. The idea of sticking to production options and understanding the deadlines to meet. The importance of understanding every aspect of a podcast. How they recorded their first 300 episodes by themselves, doing all the editing and production? Things to remember when starting a podcast. Planning ahead and getting things done in advance when recording a podcast. The difficulty in doing a daily show in terms of quality content and consistency. Why they recommend doing a weekly show as a minimum? How is Nicole involved in the production process? The importance of editing in altering the whole show. The methodology on how the show can be edited. How they incorporate the whole idea of the show? The $100 MBA daily show lessons. Getting what you need so you can build a business. How has podcasting changed their business? Their launching of the $100 MBA online training and community video course in December 2014. How they launched the $100 MBA podcast in August 2014. How can podcasting build long-term relationships? Setting a clear goal and achieving it in a certain amount of time. The importance of making connections and learning from them. How has podcasting become hot all of a sudden? Focusing on growing an audience and having somebody to speak to when building a podcast.